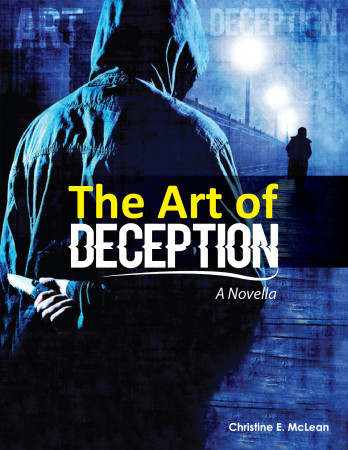 I recently had the pleasure of reading Christine McLean newest release, The Art of Deception. I don’t want to give away too much of the plot, because it always bothers me when reviewers do that! I like to read the story for myself, and you’ll want to do the same. This high-energy thriller is edgy, suspenseful, and raw. It’s always great to read a book that starts quickly, and this is one of them. It takes off right away and keeps going until the end. There is always something happening, with lots of characters and subplots. McLean takes seemingly random events and characters and brings them in to an interconnected web of unforeseen connections. The experience of writing The Art of Deception was amazing for McLean. She fell in love with her characters and truly enjoyed creating the intricate plotline. A sequel will be coming down the line, but the date has not been set yet. McLean’s first book, Becoming the Best You- Ten Pressure Points that Lead to a Successful Life has received four and five star reviews on Amazon. You can also check out Christine’s blog here.